The purpose of the award is to encourage young scholars to enter the field of nonprofit and philanthropic studies throughout the world. The Emerging Scholar Dissertation Award is presented biennially for a PhD dissertation completed, or defended, in the two calendar years preceding the Award. It recognises work that makes an outstanding contribution to the knowledge on, thinking about, and study and understanding of, the third sector and its associated areas and fields. For the 2018 Award, 61 submissions were received. This represented a marked increase over the 23 and 40 submissions in 2014 and 2016 respectively. Reflecting ISTR’s international constituency, submissions covered all continents, bar Antarctica. The overall quality of the entries, the diversity of the topics approached, the scope of areas addressed, as well as the spectrum of research methods utilised, left a very positive impression with the members of this year’s Selection Committee. The latter included, and benefitted from the time and expertise of, Cleopatra Charles (Rutgers University), Gemma Donnelly-Cox (Trinity College Dublin), Jenny Harrow (City, University of London), Barbara Ibrahim (The American University in Cairo), Tobias Jung (University of St Andrews), Hanna Shaul Bar Nissim (Brandeis University), and Rupert Count Strachwitz (Maecenata Institute for Philanthropy and Civil Society). From the pool of submissions, the Committee identified three finalists. All three were outstanding; all three fared very strongly against the Award’s criteria. Of these, the winner of the ISTR Emerging Scholar Dissertation Award 2018 is Andrew Heiss’ dissertation on “Amicable Contempt: The Strategic Balance between Dictators and International NGOs”. Examining the activities and adaption of international nongovernmental organisations (INGOs) in the context of increasing global restrictions on civic space, Andrew’s dissertation addresses the paradox that while INGOs’ service and advocacy activities can threaten the legitimacy and power of authoritarian regimes, numerous autocratic states still allow the work of INGOs; similarly, despite limitations and restrictions on their own activities, numerous INGOs continue to operate in these countries. Thus, the idea put forward and explored throughout the dissertation is that the relationship between INGOs and autocratic regimes is a state of amicable contempt: each party is aware that the other both threatens and supports their existence. Focusing on the timeframe of 1991 to 2014, and on the three cases of Egypt, Russia and China, the dissertation addresses questions about: Why do regimes allow INGOs to work in their country? What influences INGO decision making in restrictive environments? How do regimes reap the benefits of INGOs programming? How do INGOs adapt to restrictions? A creative, detailed and thorough examination of an increasingly important international issue, the dissertation thereby provides a strong theoretical basis for examining INGO-dictator relationships. Additionally, it offers a diversity of practical findings that can be used by local and international NGOs to manage risk and to improve their likelihood of survival and impact of their work. Alongside Andrew Heiss’ work, the Selection Committee also acknowledges the merit and achievements of the two other finalists. First of all, Nora Derbal, for her dissertation “Charity for the Poor in Jeddah, Saudi Arabia, 1961–2015.” Using an in-depth case study approach, Nora’s work examines the discourses and practices of welfare associations and informal charity organizations in support of the poor in Jeddah. The dissertation points to how associational practices of charity are important expressions of modern civic activism in Saudi Arabia, and how this activism has created diverse spaces, rich in social and symbolic capital, which allow for a certain degree of self-governance under authoritarianism. Well-written and very reflective, the thesis offers fascinating and novel insights into this area. Secondly, Sara Compion, for her dissertation “Volunteering And Democratization In Southern Africa: A Structural And Cultural Analysis”. Taking a mixed method approach, Sara’s work brings together two overarching strands for developing better understanding of volunteering in Africa and across different African settings. To this end, the work examines two overarching research question. The first focuses on the resources, attitudes and contexts of volunteering and asks ‘Who are the African volunteers?’. The second examines ‘Why do people volunteer?’ and examines issues of identity, motives and behaviours. Taken together, the work offers a timely and important contribution to stronger understanding of volunteerism from within, and across, parts of the African continent. All three dissertations impressed the committee. They provide valuable insights for third sector theories, practices and policies; they offer strong foundations for further work and engagement. 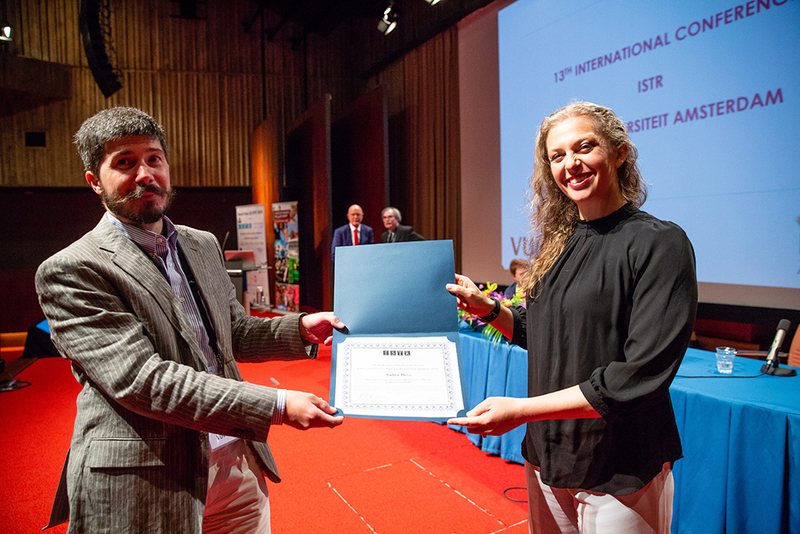 Together with the wider set of submissions received, the work done by ISTR’s emerging scholars thus fares well for the present and future of third sector research, and for the area’s potential to positively contribute to civil society and to civil societies. ISTR conference to the author of the best dissertation in the field of comparative study of civil society organizations, nonprofit organizations, philanthropy, and voluntarism and related issues. Every effort is made to encourage broad representation of countries and regions. The purpose of the award is to encourage young scholars to enter the field of nonprofit and philanthropic studies throughout the world. In 2016 the Selection Committee received 40 submissions from 23 countries around the world.This is a significant increase from 23 submissions from 11 countries in 2014.The dissertations express the growing interest in the study of third sector and civil society organizations.Young and competent scholars join scholars around the world in an effort to better understanding the roles and function of voluntary nonprofit organization in different aspects of their activities.Together young and established scholars contribute to the positioning of the study of these organizations at the frontier of science. 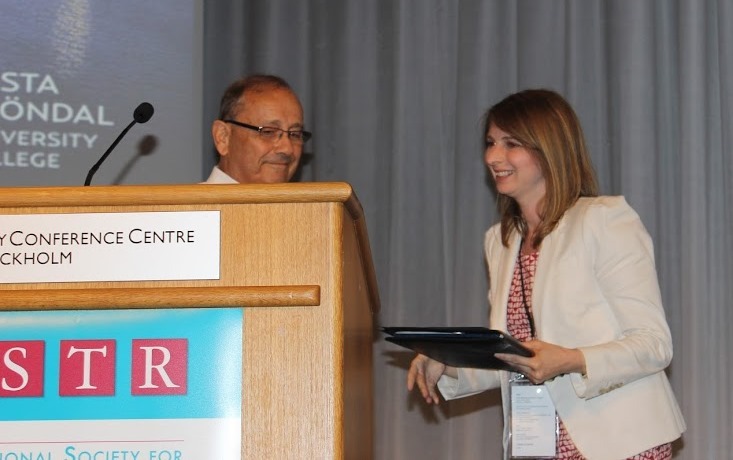 The ISTR Emerging Scholar Dissertation Award is presented biennially for a Ph.d dissertation completed or defended in the two years (July 1st 2014 and June 30th 2015) preceding the award.The award recognizes an outstanding dissertation that contributes to the field of comparative study of civil society organizations,nonprofit organizations,grassroots organizations,philanthropy,voluntarism and other related areas of interest concerning in the growing role and importance of these organizations in the modern states.Special attention is giving to the potential of the dissertation to influence new thinking on Third Sector organizations and related fields,to the methodology applied in the research,to the contribution of the dissertation to the theory and practice of Third Sector organizations and to the unique added value the dissertation has for the advancement of the study of Third Sector and Civil Society Organizations.